Lurian. Freighter captain. Frequent patron of Quark's. Part of the infamous Lissepian Mother's Day Heist. 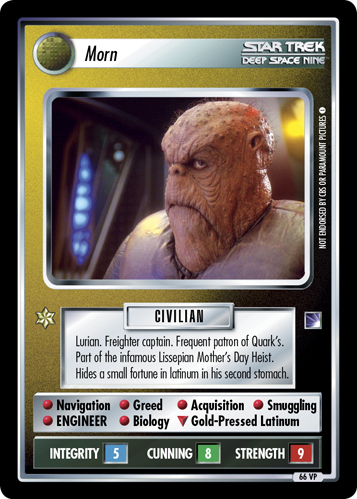 Hides a small fortune in latinum in his second stomach.